James Rivington: Printer, Loyalist, Spy? A fabulous but somewhat ominous engraving of Rivington hanging in effigy from a tree in New Brunswick, N.J. Earlier this year, I wrote about the printer of the New-York Journal, John Holt. I focused on his newspaper’s mastheads, arguing that those mastheads were an effective medium through which he could shape political ideas and, subsequently, mobilize support. What I did not fully explain, however, was that he was not the only printer in New York City to change his masthead—James Rivington did it, too. After moving to the colonies, in 1760, James Rivington established himself as one of the most popular, if not the most popular, printers. In October 1774 he boasted that his newspaper, Rivington’s Gazetteer, was read by at least 3600 people. On top of this, when you consider that newspapers were often circulated in coffeehouses, taverns, and private homes, places where they were often read aloud, it is possible that his Gazetteer was “read” by more than 4000 people. Rivington was not just a one-trick pony, either. He also printed pamphlets; most famously, Samuel Seabury’s during his pamphlet war with Alexander Hamilton. Yet, Rivington was more than just a Tory printer or Rebel spy. Understanding him as just a Tory mouthpiece-turned-spy downplays his literary acumen and, more important, his individual place within and contributions to the imperial crisis within New York City. Like John Holt, he was gifted in his ability to understand how to use his masthead for political means. More importantly, though, James Rivington was a product of New York City’s political culture. Like so many—elite or nonelite, male or female, black, white, or brown—he was caught up in the maelstrom and dislocation caused by the imperial crisis. It affected how he lived his life. It affected his livelihood. The impact was distinct. A week later, however, Rivington’s masthead was back. He had adjusted his types and adorned his newspaper with a new image. But whereas Holt inserted a firm illustration of his commitment to and support of the Continental Congress, Rivington went in a different direction. Gone was the vessel. In its place was the Royal Coat of Arms. In a somewhat roundabout way, Rivington, like Holt, was legitimizing the authority of the Continental Congress. As the Association went into effect, his newspaper no longer symbolized trade. But by inserting the Royal Coat of Arms, and not, say, the image Holt used, Rivington was also firmly articulating his allegiance to King George III, his commitment to resolving the worsening Anglo-American dispute. Unlike Holt, Rivington was not steadfastly behind the Continental Congress. But he wasn’t against it, either. Neither “Rivington The Loyalist” nor “Rivington The Spy” works here. He appeared to be in some sort of political limbo. But so were a lot of people, and they remained that way for a very.long.time. The iconographic rebranding of the Gazetteer was in fact more representative of most New Yorkers’ feelings towards the Continental Congress, and their place within the British Empire. That is, they supported the Congress, but firmly considered themselves as part of the Empire. Equally important, though, Rivington’s behavior offers historians one example of how people were responding to the Continental Congress, how their views were changing in light of their lived experience of the imperial crisis. Using Rivington as one example offers us a chance to deepen our understanding of the coming of the Revolution, perhaps even to offer a new paradigm from which to study the Revolution itself. Mastheads have received some attention; see Lester C. Olson, Emblems of American Community in the Revolutionary Era: A Study in Rhetorical Iconology (Washington, D.C.: Smithsonian Institution Press, 1991). See Philip Gould, “Wit and Politics in Revolutionary British America: The Case of Samuel Seabury and Alexander Hamilton,” Eighteenth-Century Studies 41, no. 3 (2008): 383–403. Andrlik picked up on this, displaying a wonderful high-resolution image of the mastheads. But he did not comment upon the changes. For the Association, see the fantastic Benjamin H. Irvin, Clothed in Robes of Sovereignty: The Continental Congress and the People out of Doors (New York: Oxford University Press, 2011) and the underappreciated David Ammerman, In the Common Cause: American Response to the Coercive Acts of 1774 (Charlottesville: University Press of Virginia [now University of Virginia Press], 1974). I meant to comment on this earlier. Thanks for another excellent post on printers, particularly NYC printers. 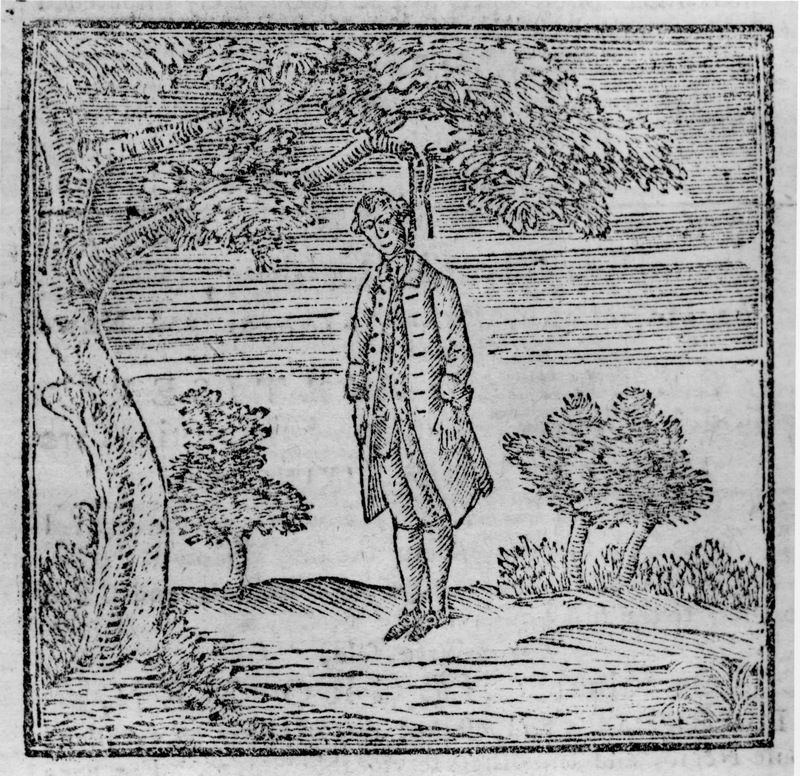 I just wanted to mention that, though historians often speak of Rivington as a kind of arch-loyalist and the majority of imprints issued from his press were by loyalists, it should be noted that he published a number of patriot-authored pamphlets between 1774 and 1775, including Franklin’s two letters to a merchant in London, Philip Livingston’s The Other Side of the Question, multiple pamphlets by a young Alexander Hamilton, as well as ones by Charles Lee and Arthur Lee, and three imprints of Edmund Burke’s speeches. Thanks for pointing this out, Michael! Great points that further complicate our understanding of Rivington.